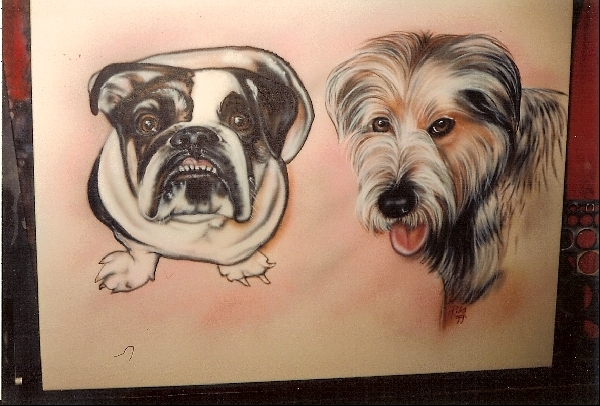 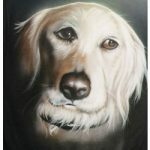 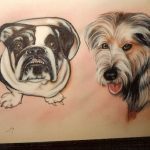 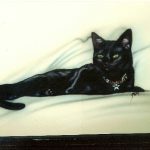 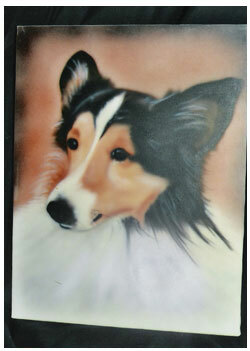 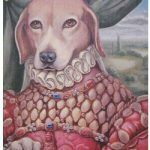 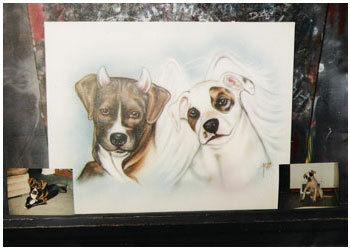 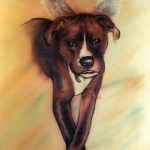 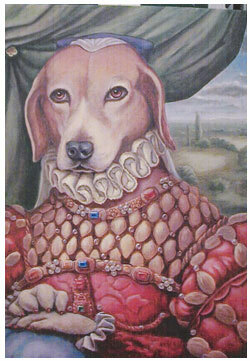 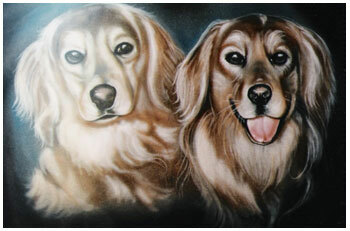 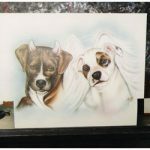 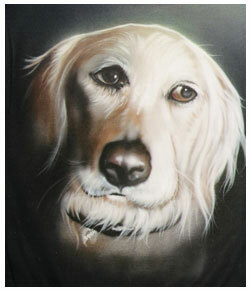 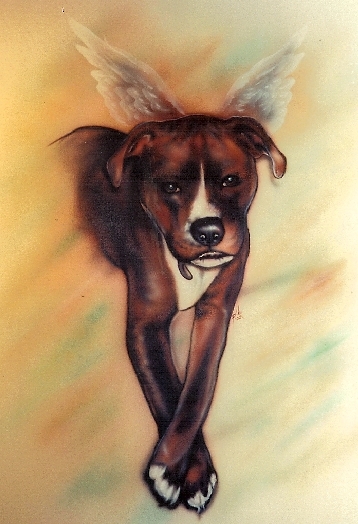 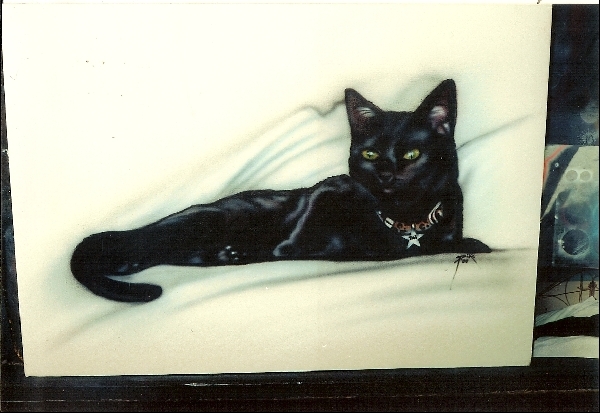 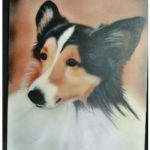 Have a portrait done of your pet as a keepsake or as a gift. 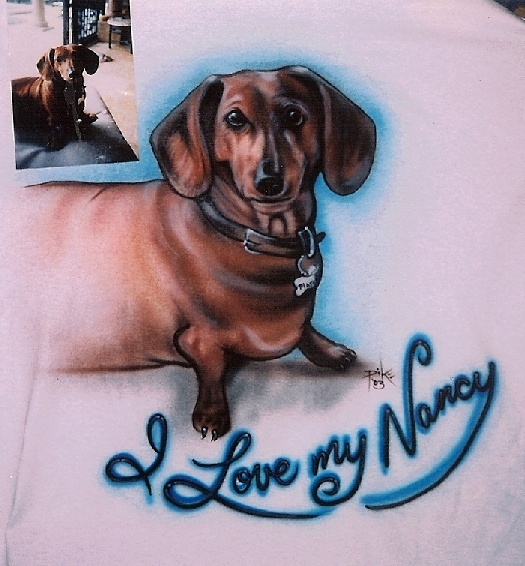 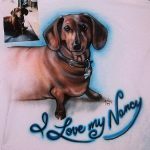 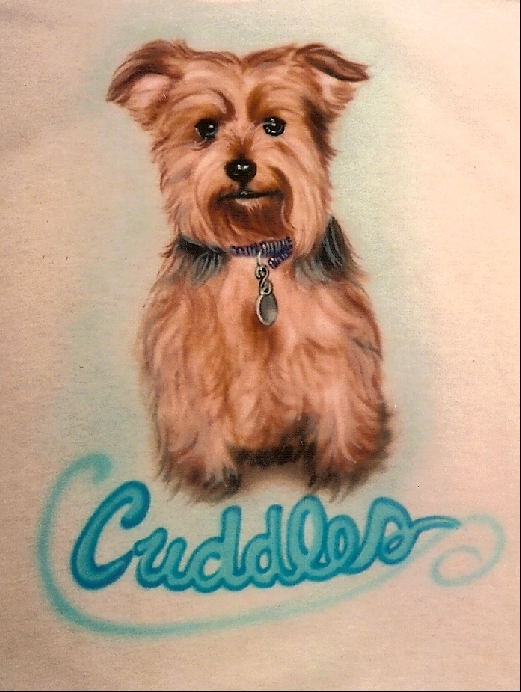 We use your favorite picture and paint it on clothing, canvas – or whatever you’d like. 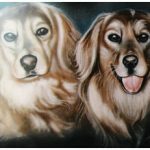 Prices are based on the amount of detail. 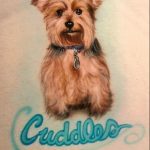 Call or fill out our Comments/Needs form more information.